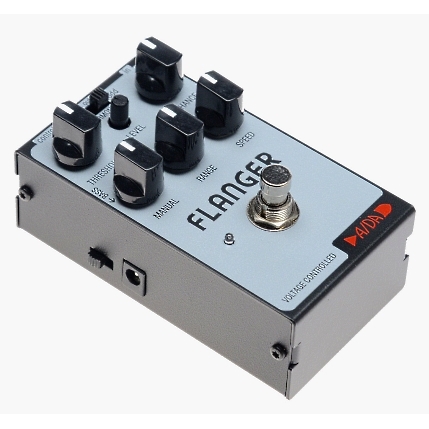 Here’s our new, smaller Pedal Board Friendly FLANGER from ADA - the same design as the original award-winning all-analog ADA Flangers from the late 1970s in a “Hammond-1590B-size” enclosure. The tone and depth of the ADA PBF Flanger is unique and powerful as well as rich and warm. You can easily dial-in auto whammy, chorus, vibrato and de-tune modulations. The Flanger works with all ADA CONTROL PEDALs and most other expression pedals -- or directly control the SWEEP with an external voltage. Made in California, and powered by standard 9 to 12 volt DC pedal board power supplies at 150mA.